Happy New Year! I've been umm-ing and ahh-ing over whether to do a favourites of 2012 blog post and then whether to do a 'top 12 products of 2012' post and I couldn't really decide on either-I think video blogs work brilliantly for favourites posts because they really bring the products to life-I've bought so many products I've seen on vloggers posts such as those by Tanya Burr, Hollie Wakeham and Lisa Eldridge. So I decided to do a 12 favourite discoveries of 2012 post-12 products or brands I have started using during 2012 that now I can't imagine being without. 1-First on my list is the brand Make Up For Ever which I was introduced to from watching Hollie Wakehams vlogs. She recommended quite a few of their products even though they aren't that easy to get hold of in the UK. Luckily for me in Dubai they are sold widely so I have invested in a few of their products. In particular I love their HD Foundation and Primer and their Aqua Eyes range-especially their eyeshadow pencils and the Aqua eyes liners which are almost gel like and easy to blend. Their HD cream blushers are also fab, and I love the Brow Sealing gel, HD brows kit and the Aqua cream shadows. The only product I have tried and didn't like is their lipstick which I find very drying. 2-My second 2012 discovery is another brand-Illamasqua. I'd never used Illamasqua until this year but I've fallen in love with their highly pigmented blushers and lipsticks. I received an eyeshadow quad for Xmas so am looking forward to trying that. I didn't like the Skin Base foundation which I blogged about in my December empties post but everything else I've tried has been great. 3-Third up is Bioderma. This is the ultimate lazy girl cleanser! I don't use it regularly as I find after a few days continuous use it does make me break out in spots round my chin but I use it after a night out when I can't be bothered with the whole cleansing routine and sometimes as an extra step after cleansing if I don't think every last bit of make-up has been removed. 4-Next up is the Urban Decay Naked 1 palette. When this launched in 2011 I didn't buy it even though everyone was talking about it. I resisted until July 2012-how I don't know! This palette is perfect. A fab mix of matte and shimmer shadows, a great spectrum of colours that go on smoothly, with little fall-out and last all day. When I travel (which is frequently) this is the only palette I take as it has everything I need. 5-Next up-EYEBROWS! Ok so not a product or brand but I finally feel like I know how to groom my eyebrows properly-thanks to Hollie Wakeham and a great vlog she did. Next year I am determined to get the semi permanent brows done when I am home in the UK to give me a much stronger shape. My favourite eyebrow products are Benefit brow pencil and the Make Up Forever HD brow kit. 6-Bobbi Brown Hot 6 lipgloss is my number six fave discovery! 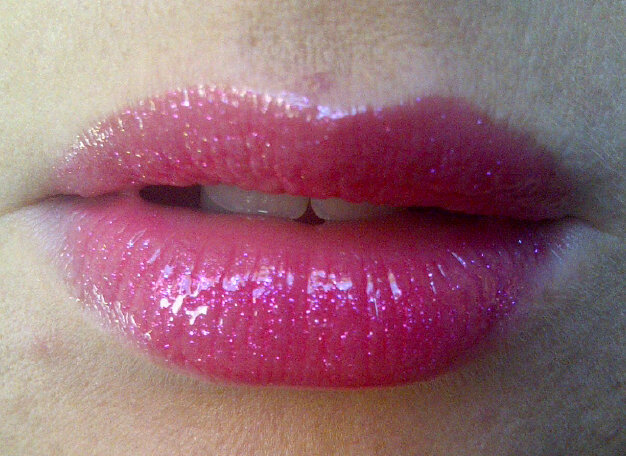 This is a beautiful glossy, shimmery hot pink that looks amazing on. Thanks to Tanya Burr for the recommendation! 7-Another recommendation from Tanya Burr that has been a great discovery in 2012 is Benefit Erase paste. I have been a YSL Touche Eclat addict for years and years and I never thought I would be swayed by another concealer but this concealer is fab! It's thicker than Touche Eclat and I love its brightening properties and blendability. 8-Eigth discovery is Nars Copacabana highlighter. This is an accidental discovery as Nars sent me a travel size tube of this highlighter to say sorry for messing up my online order with them. But it's amazing! It's a light reflecting, pearly liquid that can be used as a highlighter or mixed with foundation to give it a more dewy appearance. It's a silvery pink similar to Benefit High Beam but I find the consistency of the Nars product easier to blend and more subtle. I suspect 2013 may be the year I explore highlighters a bit more as a lot of tutorials I watch incorporate highlighters and the effect is amazing. Recommendations appreciated!! 9-Discovery number 9 has been Mac Crosswires lipstick from the permanent creemsheen range. 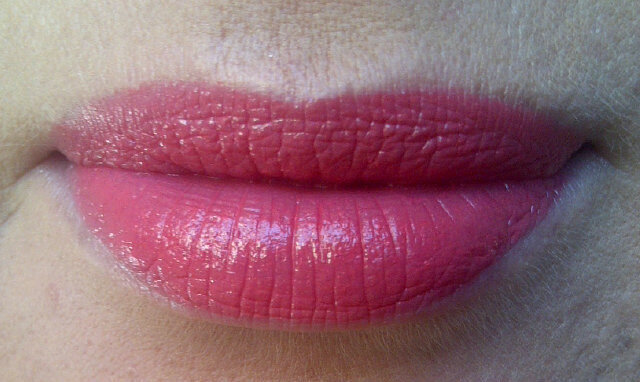 This is my absolute favourite shade of lipstick! Late this summer I went on a coral lipstick rampage, trying to find the perfect shade. This is it! Coral pink with great colour pay off and a subtle golden glisten. 10-Number 10 on my list are websites I've been using regularly and discovered in 2012-Cult Beauty, Beauty Bay and Space NK. Between these 3 they more or less cover all my beauty needs-Cult Beauty and Space NK ship direct to Dubai and I use my Aramex shop and ship account for Beauty Bay. I can't fault the service from all 3-orders are dispatched promptly, the websites are easy to use and the items I want are always in stock. I suspect I'll be parting with a few more pennies on these websites in 2013. Temptalia.com is my make-up holy grail website-it's truly amazing. Tanya Burr, Hollie Wakeham and Lisa Eldridge are my favourite you-tubers. 11-In the summer, Stila launched their mini travel palettes and I snapped up 3 immediately. They were such good value at £10 each and they contained 4 or 5 eyeshadows and one or 2 blushers/bronzers. They are little palettes of gorgeousness!! So glad Stila is back in the UK! 12-Finally, the last discovery of 2012 that I have loved is Tom Ford-specifically the eyeshadow quads. I suspect 2013 will be the year I try more of the range but it is super expensive and might be a dangerous habit to develop! I've not heard one bad thing about any of the products and will start to compile a wish list! Wishing you a very happy, healthy and successful 2013!! Fab picks there! I LOVE the erase paste - i need to get myself some more hehe Fab blog I'm definitely a new follower! here and twitter! Do you think you could check mine out and followe back please? Love your list! The M.A.C. lipstick is the perfect coral! So pretty!